Teach Like Finland - Description | W. W. Norton & Company Ltd.
Finland shocked the world when its fifteen-year-olds scored highest on the first Programme for International Student Assessment (PISA), a set of tests touted for evaluating critical-thinking skills in maths, science and reading. That was in 2001; but even today, this tiny Nordic nation continues to amaze. How does Finnish education—with short school days, light homework loads, and little standardised testing—produce students who match the PISA scores of high-powered, stressed-out kids in Asia? 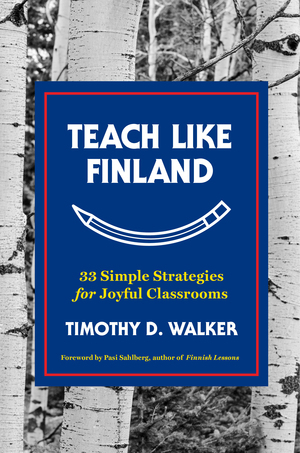 When Timothy D. Walker started teaching fifth graders at a Helsinki public school, he began a search for the secrets behind the success of Finland’s schools. Walker has already written about several of those discoveries, and his Atlantic article on this topic received more than 500,000 shares. Here, he gathers all he has learned and reveals how any American teacher can implement these simple practices, which integrate seamlessly with educational standards in the United States.